WordPress Feed and FeedBurner Feed has obvious similarity and some points to distinguish them. It is not that, FeedBurner is free, so let us use it. There are reasons to give preference to WordPress Feed and FeedBurner Feed respectively one over the another. How to configure Feedburner so that it does not affect your SEO? How to automatically publish your blog posts on Twitter and Facebook? So, many topics are actually discussed on RSS Feed. This time our topic is quite different. What is this RSS Feed and why we use this RSS Feed ? RSS Feed was actually born with the idea of ? ?showing all the full article without the need to visit the website to check the updates manually. The RSS is generated by the websites you want to distribute the content and the format used for this purpose is XML. Other points on positive effect on SEO has been discussed in other articles. 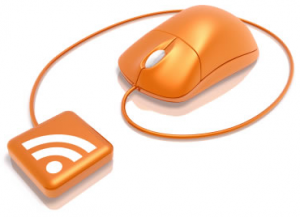 WordPress natively generates RSS Feed. It can generate Feed for the whole URL, Category or comments. We can not use FeedBurner in this way easily (other than if you create separate FeedBurner Feeds). The main reason why we use FeedBurner FeedSmith like plugin to burn our native WordPress Feed to convert to Google’s Feed (Google is actually hosting it) are numerous : WordPress has not the ability to manipulate RSS from the Dashboard. There are plugins, but not effective. FeedBurner uses the XML file generated by WordPress and gives it its own format. It is also converted to HTML to be viewed by web browsers. What appears in the feeds may not depend on the settings you do in WordPress, but the configuration on FeedBurner. But more important point is perhaps the possibility FeedBurner offers to the visitors to subscribe RSS by email right in the the inbox. So,according to the website’s or blog’s need either form of RSS Feeds can be used, but for majority of the blogs; FeedBurner Feed actually works great. This Article Has Been Shared 3757 Times! Cite this article as: Abhishek Ghosh, "WordPress Feed and FeedBurner Feed : What is appropriate for you," in The Customize Windows, July 15, 2011, April 21, 2019, https://thecustomizewindows.com/2011/07/wordpress-feed-and-feedburner-feed-what-is-appropriate-for-you/.